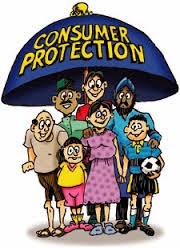 Consumer Court is the special purpose court, mainly in India, that deals with cases regarding consumer disputes and grievances. These are judiciary set ups by the government to protect the consumer rights. Its main function is to maintain the fair practices by the sellers towards consumers. Consumers can file a case against a seller if they are harassed or exploited by sellers. The court will only give a verdict in favour of the consumers/customers if they have proof of exploitation, i.e., bills or other documents. If a consumer does not have the proper documents required for filing a case then it would be very difficult for the consumer to win or even file a case.